Yes...we are stunned at the situation over there. I was just discussing this earthquake with a friend and wondered if there was a connection with the New Zealand earthquake...seems so close! It is so devastating! 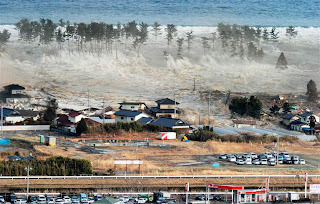 As if earthquake is not enough, there came tsunami & to top it all, nuclear plant exploded! GOSH! Those pictures made me cry. What a devastating disaster! Wow, your post is just beautiful. Yes, we all need to be grateful for our packs and to be safe. Lots of healing vibes out to all the peeps and critters devastated by this. ohh no.. woo making me cry. so so sad.. sending pawsitive vibes to our japanese pals. My cousin lives in Japan and teaches elementary school. He said his school was destroyed by the earthquake but that his apartment was mostly okay. He got evacuated because he lives within 20 km of the nuclear power plant. He said that it wasn't a nuclear explosion but that there still was an explosion and that it was so eerie. Purring for all involved. It's devastating to watch. You have our mom in tears. This is just so horrible for Japan. Poor people. Sending wags and prayers. 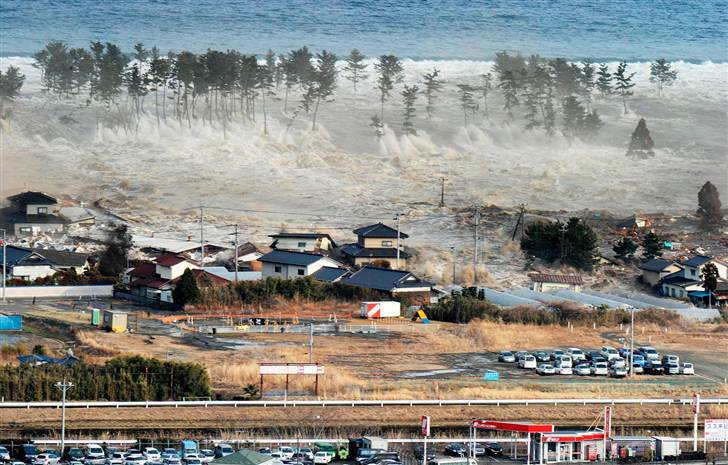 We are praying for all those who have been touched by the earthquakes and tsunami! An earthquake is bad enough - but for some reason I can kind of understand or at least grasp the pictures of one but the tsunami - that picture you showed and that I've seen on TV, I just can't get a hold of that - that seems so unreal - so unbelievable. It seems like I am thinking and praying about it alot. Thanks for posting this. To me it seems odd to be posting or thinking or doing anything else right now. But I check my FB page and most people are just going about their business. But, I guess that's what you do. I mean, what else can we do, just sit around and cry? But thank you for posting this tribute. It's very sad! Thanks for posting this for all those affected by the earthquake and tsunami. Our thoughts & prayers go out to those devasted by the earthquake & tsunami. God bless. We were very sad to hear about the tragedy and relieved to know that our family there was safe and out of harm's way! Sending many prayers and good wishes to all who have been affected by this tragedy. My paws are crossed for all of them. You two are such sweeties. I love this celebration of LOVE and PRAYERS for our friends in Japan. A beautiful share today. You have made my heart so happy to see this beautiful share this evening. A poignant post. I've been thinking of our Japanese friends all the time. You inspired me - I did one too. Just so very sad and horrible. Paws crossed here and prayers from the Mom for all who have suffered from this devastating event. SO, SO very sad. We have our paws crossed for all of Japan and are praying for them. My mom is crying now. but we are OK here in Hokkaido. I am terribly worried about suffering people in disaster areas. Some of my friends live there. And all our poor friends who are dead, both people and animals. Always remembering our friends who have suffered the unthinkable and unimaginable. My heart pours out to them. 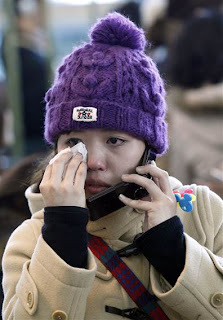 We fleetingly know Flo de Sendai aand we have been thinking of her...May God keep her and her family safe. I am heartbroken, too. We are thinking of all those suffering people and animals. Very touching! 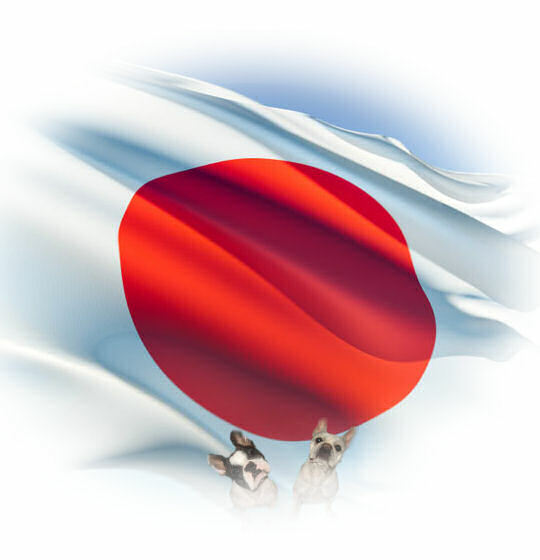 Sending pawsitive vibes and prayers to all those in Japan....both of the 2 foot and four foot kind. such a devastating tragedy.